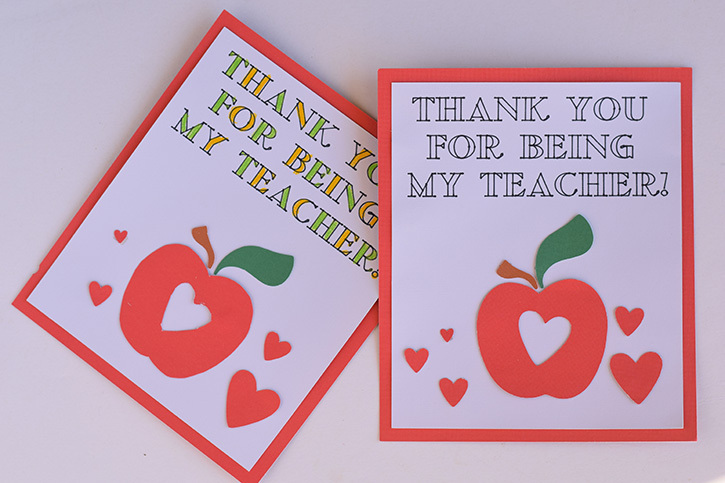 One of my favorite gifts to give teachers is a gift card. 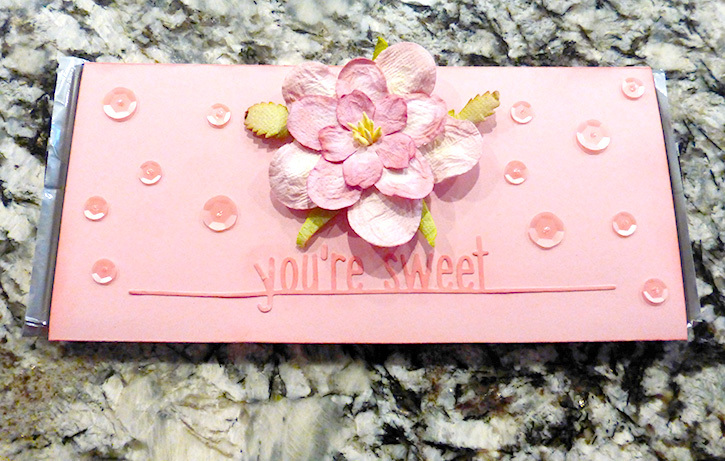 To personalize it a bit more, I like to give gift cards in a handmade card or envelope. This gift card tag is a bit of a spin on that. 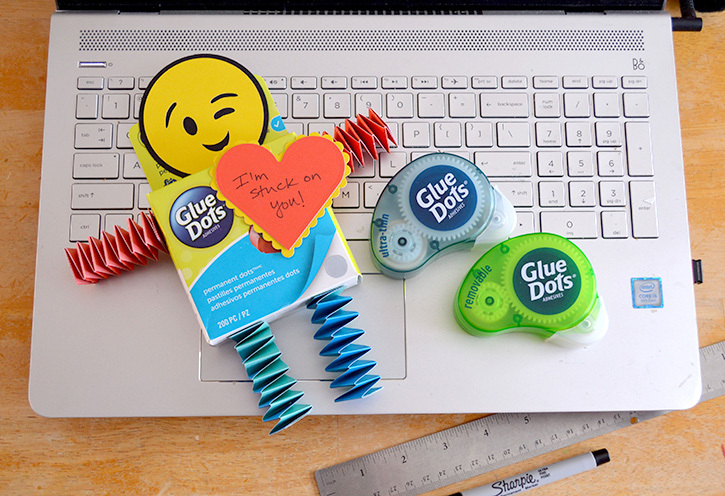 You can attach this to a gift bag or just gift it as is. Measure your gift card. 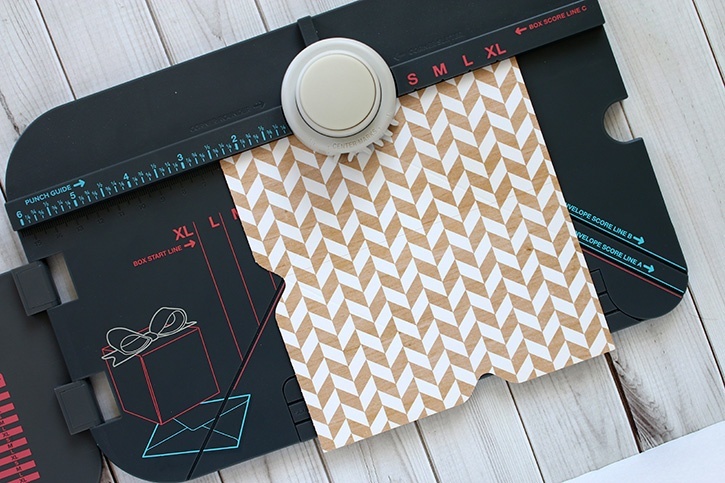 Make an envelope that is at least ¼” taller and wider than your gift card. 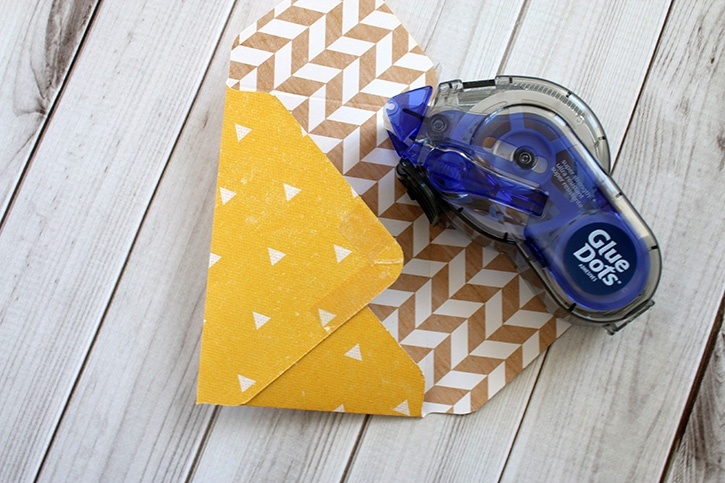 Assemble envelope with GlueTape, but fold the envelope so it opens on the short end. Cut the top flap off of the envelope. 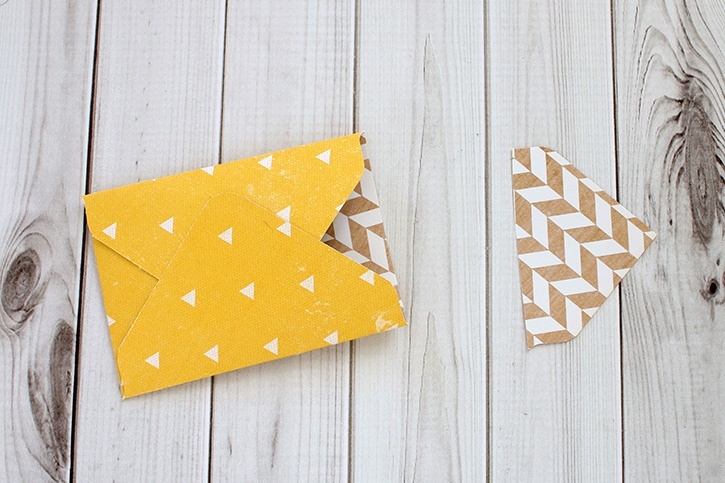 Cut a piece of card stock to ¼” smaller than your envelope. 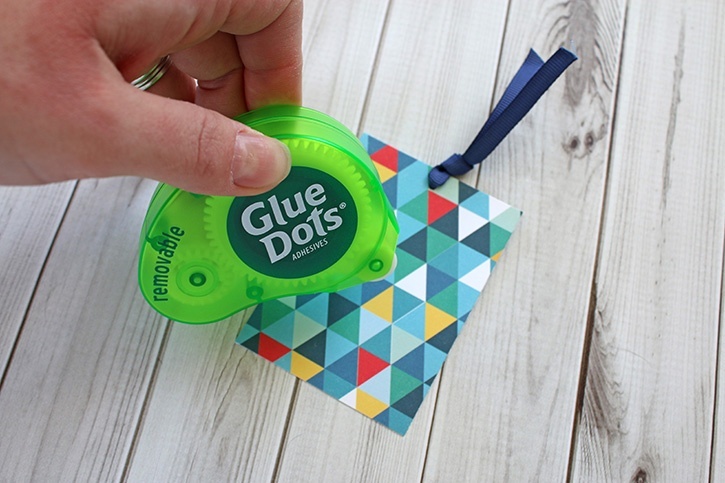 Attach gift card to your cut piece of card stock with a Removable Dot. Add ribbon to the top. 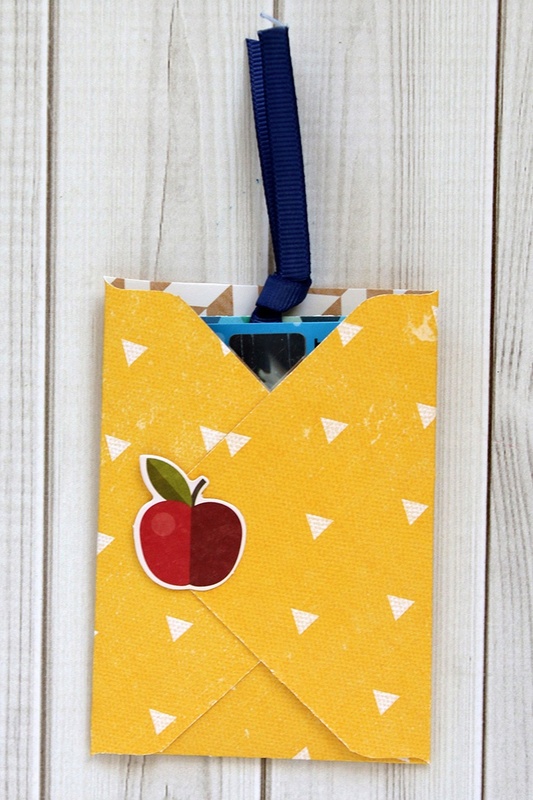 Place gift card tag in envelope. 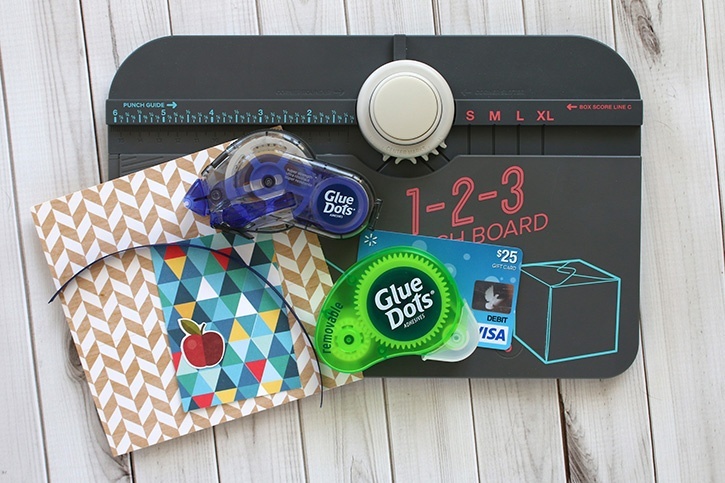 Don’t know where to get a gift card for your teacher? 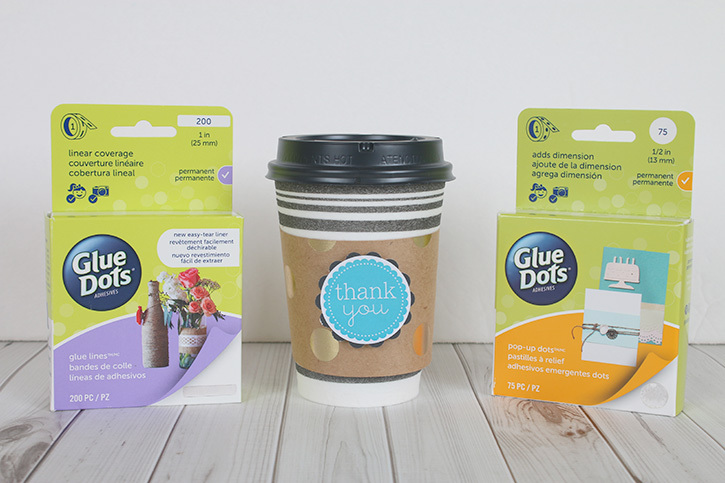 Any big box store, a favorite coffee joint or restaurant t gift card will make a perfect present. 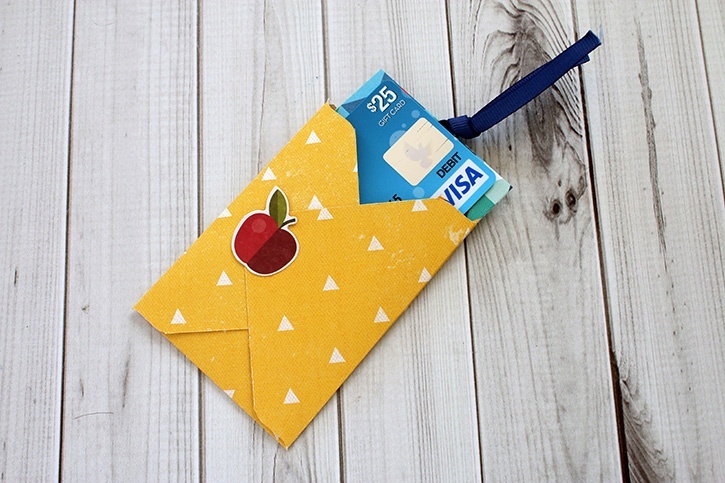 Make the gift tag extra personalized by choosing colored paper that coordinates with the colors of the gift card.